The 2018 Lexus NX is available with a 235 hp, 258 lb-ft 2.0-liter engine which is paired with a 6-speed automatic transmission and can be had with either front or all-wheel drive. Performance is good if not quite class-leading although the ride and refinement levels are all superb. Standard specifications are high as is the interior quality although cargo space is very limited. Standard safety systems now include adaptive cruise control and forward collision mitigation systems while those looking for a sportier drive can opt for the F-Sport variant. 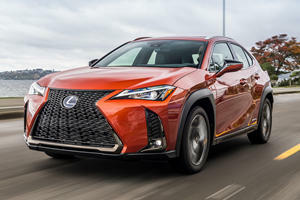 The Lexus NX luxury compact crossover is a strong offering in this highly contested segment, its modern looks are backed up with the usual Lexus traits of quality and luxury too. For 2018 a name change and some minor updates to the infotainment system are joined by a far more comprehensive standard safety package. The fit and finish of the interior is up there with the very best in class, soft-touch fabrics and high-quality switchgear contribute to the upmarket feel in the cabin. 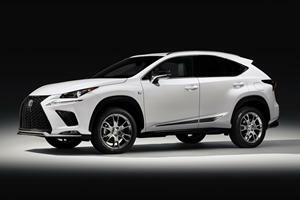 Both front and rear occupants will find enough leg and head room despite the NX’s small dimensions. A larger infotainment display and larger (yet still frustrating to operate) remote touch interface pad are the only noticeable updates in the cabin for 2018. The compromise comes in the cargo area where the limited storage space may severely hamper your attempts at taking advantage of bulk buying specials. The infotainment system is competent enough but interacting with it while on the move can be a bit fiddly until you become accustomed to the interface. In line with other newer Lexus models the NX offers an engaging drive with sportier dynamics than has been the case in the past. Thankfully the traditional traits of an unruffled ride and smooth responsiveness have not been compromised. The F Sport version sharpens up the road manners another notch and the larger wheels and sport-tuned suspension do not detract too much from the serene manner in which it traverses broken pavement especially if optioned with the available adaptive suspension. The German opposition do offer even more dynamic ability but it comes at the cost of ride quality. 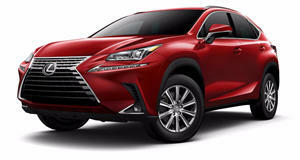 The Lexus NX is equipped with a 235 horsepower, 258 lb-ft of torque 2.0-liter turbo engine, drive is through a 6-speed automatic transmission to the front wheels and all-wheel drive is optional. The performance is strong although not quite on par with rivals like the new X3 and GLC-Class leaders when it comes to the 0-60mph benchmark. Away from the traffic light Grand Prix, the NX 300 has plenty of punch for overtaking maneuvers and it remains quiet under hard acceleration. Consumption figures are competitive too. The NX 300 comes packed with standard kit, LED lighting, keyless entry and ignition, simulated leather upholstery, 8-inch Lexus display, 8-speaker sound system, dual-zone climate control, rearview camera and Bluetooth connectivity are a small selection of what is available. Curiously, and frustratingly for some, Apple CarPlay/Android Auto connectivity is still absent from the options list. What is included as standard equipment for 2018 is the previously optional Safety System+ package, this includes adaptive cruise control, lane departure warning, high-beam assist and forward collision mitigation systems. The NX 300 F Sport is listed as a unique model in the NX range but it is basically an additional package with features such as 18-inch wheels, sport-tuned suspension, special interior and exterior trim, unique dashboard instruments, upgraded seats and a sport steering wheel. Adaptive suspension is now an option on this trim. Packages are region dependent and there are a few that are worth checking up on. 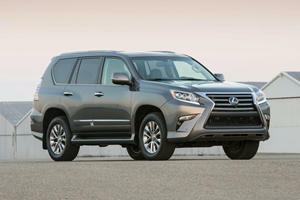 The Premium Package offers 18-inch wheels, sunroof, blind-spot monitoring system and ventilated front seats. The Luxury package also offers some nice-to-haves like a power liftgate, leather upholstery and heated steering wheel although it requires first choosing both the Premium and Comfort Packages. Some items can be specified individually such as a hands-free power rear door, panoramic view monitor, power folding rear seats and adaptive triple-beam LED headlamps. The Lexus NX continues to offer a compelling package for those in the market for a stylish and sporty compact crossover. The addition of a comprehensive list of standard safety items and a few additional features for 2018 add to its appeal although those requiring a spacious cargo area may need to look elsewhere.